Your digital audiobook copy of Rhinoceros Success will be available as a download link in your order confirmation email after check-out. Get both the hardcover book and audiobook in this special online bundle only at DaveRamsey.com! Get ready to go Rhino! 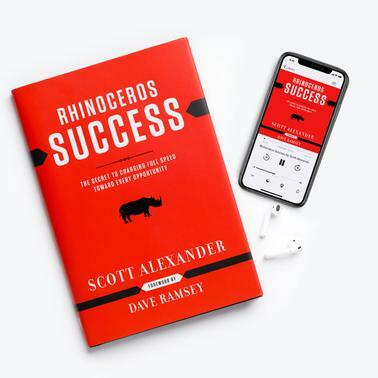 Scott Alexander has discovered the REAL secret of success: becoming a rhinoceros. Read it and go rhino! That’s all there is between you and everything you’ve ever wanted to do or become in your life. CHARGE!